Fifteen-year-old Asha Kidwell was raised among spirits. Mysteries and messages from beyond the grave are her family’s business. 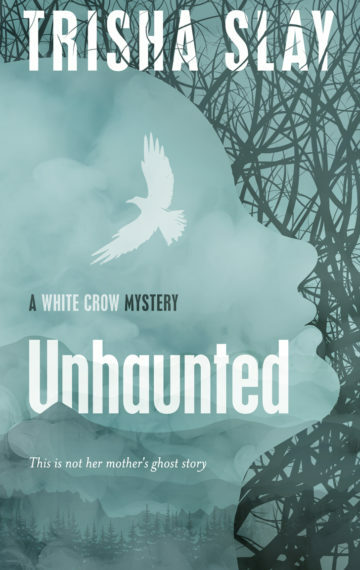 So when Asha witnesses her mother—glamorous psychic detective Xia Celeste—giving false information to the police while the ghost of a murdered girl begs for justice, Asha intervenes. But the clues that lead investigators toward the discovery of Ivy Brennan’s body are only the beginning. Now Asha can’t cut off the flood of Ivy’s increasingly desperate communications. In order to stop a killer, she must decipher a kaleidoscope of memories, images and emotions that will send her down a treacherous path leading back to her own front door. The more she learns about the circumstances surrounding Ivy’s death, the more Asha questions her own life. Is her mother a psychic fraud? Or is she trying to silence the dead?